I'm a fan of a good homemade valentine. They're sweet and special, but sometimes they're not, well...realistic. Like say, when you're about to start a new job and have a "to do" list a mile long that you'd like to accomplish before said job begins. Or when (hypothetically of course) one of your daughters goes to a really cool elementary school where they combine the 1st and 2nd grade classes, necessitating you to create 50(!!!) valentines for her to hand out (not counting the additional 15 that you need to make for your younger daughter's class). Or, when the homemade valentines that your girlies insist on making take something like 9.5 minutes per card (not that I'm counting), which when multiplied by 65 equals a looong freakin' time to make homemade valentines. Just sayin'. I let them each select a card with no input from me (well, sort of...you know of my control freak tendencies), and we picked out a photo of each of them to use as a backer to make them more personal. We're planning to write a little note on each one and attach a sucker with a bit of Japanese washi tape. Done and done. I figured I might not be the only one in the "homemade valentine dread" boat, so we're going to do a super quick Minted giveaway (to give you plenty of time to order those valentines before heart day arrives). Just leave a comment on this post by midnight CT tonight(!!) and I'll announce a winner of a $50 Minted credit tomorrow. In like flynn! From a newish mom who used to *hand decorate large sugar cookies by the dozen* for her valentines. Um, right. I think my 2nd grader would like the heartfold cards. I was just looking at personal stationary on Minted. I think it's time for me to woman up and get some, but winning would be nice too! Love love love minted!!! Perfect valentines! Great idea. I'm still debating on the feasibility of making sugar cookies and decorating... ordering cards would leave more time! Thank you for bringing delightful bits of beauty into my everyday. :) And hurrah for new jobs! Yes please... ease my guilt of not sending christmas cards!!!! I got my Christmas cards from Minted this year and I loved them! They were really, really great I was wishing I could get Valentine's cards too, but it's not in the budget. What a great idea - and how fun to let the kids pick the design and photo! Love these! I'm a big fan of minted! I especially love their skinny wrap address labels. This would be such an upgrade to last year's homemade attempt. Keepin' my fingers crossed! What a wonderful idea! I haven't sent out valentines in years. It'd be great to bring that back. These classroom cards are great-Minted just keeps getting better. yes please! Really? Combined the 1st and 2nd grade classes? I would love to hear more! 65 valentine's?! and I was stressing over the 22 I need to make! love the minted cards. my fingers are crossed! Love me a giveaway from Minted! love a last minute giveaway and the latest minted valentines too! my friends would be so lucky to recieve these in the mail. i LOVE minted!! 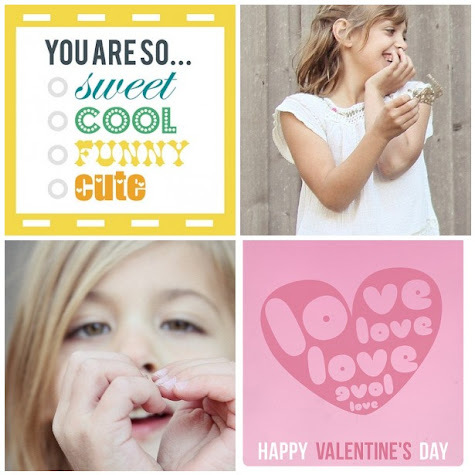 I would love to have cards this year from my little ones using them this Valentine's Day! The homemade valentine debate rages on in my house! love minted & happy valentines day everyone! Would love to win. They have such nice stuff! I love these cards! Such a great idea! I have planned a crafty Valentine, but a back would be nice!!! Awesome! Minted would be a life saver! love minted...never thought about valentine's cards! Love minted and Valentine's Day! Please let me win this so that I don't have to get the boxed Valentines from the local CVS the night before my sweet pea has to hand them out in preschool (flashback to last year)! Cute! Count me in on the giveaway. Love the valentines and such cute photos of the girls! Congratulation on the new job! Love Minted! Your girls are so darn cute! I have two kids...so it takes us a long time as well. Would love to win! I love this! My husband's birthday is valentine's day, so I'm always looking for a way to do something extra special. I'd love to make him something on Minted! Holy cow, great giveaway and a lovely idea for class valentines. I need to get on that, like, yesterday. i love valentines in all forms. i always make one for my beau by hand, but i buy some cute ones for wider distribution. i love the checkmark options on her card, ha! lovely giveaway. fingers crossed. Those cards are so cute. I love the personalized valentines- so much better than a generic card! Didn't know minted made valentine cards! fun! We're big fans of homemade valentines too. I think we're ready to try something new this year & would love to win!! Thanks for the chance. Minted is my favorite...And I cannot believe how much I need this for my 5 yr old. Since his sister is due ANY.MINUTE! I'm in! I would love to be saved by this. love it. i think my son would like them, too! Such a lovely giveaway! Congratulations on your new job! Oooo, I'm going to copy Heather's idea- if I win, I'm making this Valentine's Day my make-up Christmas card holiday! I still prefer handmade. It is unique and personalized. It's a labor of love. would love to win! Happy Valentine's Day ! This is my first year with my daughter in preschool and had not even thought of Valentines!! Thanks for the reminder. These would be perfect. We've waited 8 ears to take an 8 week sabbatical....we leave in 17 days but who's counting. Last week we were offered a new promotion and I spent a week turning on a dime to head to Seattle to put it all together. VALENTINES? Oh, wow, they have fallen through the cracks! Homemade light sounds so darn decadent! Toss my email into the ring...PLEASE. They have an awesome selection, I just love the designs they come up with. Count me in! Thank you so much for this giveaway. And the Valentine's Day cards your girlies picked out are perfect. i like minted. alot. and why do your ideas always feel so timely and right on? I heart Minted! Love the valentines . . . great for family too. I'm so on board for some minted valentine play! minted has so many cute things! I love homemade cards and think they are the only way to go. I love the process of making them with my girls and seeing how their abilities and ideas change as they get older. Thx for the giveaway! Ooh, ooh! Pick me please! Fantastic Giveaway! I hope I'm in time. It looks fantastic, no idea if it's open to international readers. Count me in if it's open to us too! Thanks and best regards from Barcelona, Spain! LOVE to win ... as I am way behind on valentines and LOVE Minted! I don't yet have children, so I'm not in the same V-Day boat; however, I remember it being the thing when I was in school to buy the packs at the drugstore (that's a funny word if you think about it) that were of the popular movies out at the time, like The Little Mermaid or Toy Story. I don't recall ever getting a handmade card at school, so kudos to all of you that have done that with your children! love your idea!this is the first year we are doing class valentine's for my twin girls so this would really come in handy! Minted is the best ! I would love love to win this! Love Minted, we used them for our holiday card! My boys have only used store bought cards and frankly we are getting tired of the commercialization occurring lately. Minted strikes the right balance of being bought but unique and sweet. Ha- you are so on point with how I feel right now! But your humorous spin makes me smile! Amazing selection. I love them! we skipped christmas cards to send out a sweet valentine of our 13 year old and our 1 year old. Whew...cant imagine sitting down and making one this year! goodness they are gorgeous! thanks for sharing! my two girls would have so much fun with this! I love Minted! Just received 2 journals from them yesterday. Great stuff! Would this make it "okay"that I never got around to Christmas cards?! Confetti hearts?! Yes, please! I'm sure my 5 year old girl will agree! I am loving the valentines cards!!! I love homemade valentines but am running out of time this year. Great Giveaway!